On the surface, what do we know about New England Patriots star Rob Gronkowski? What is the Gronk? It is the loud, goofy, fun-loving man-child side of the National Football League’s best tight end. It is the side that spikes the football with reckless abandonment after scoring a touchdown. It the side that shotguns beers in public, shakes its moneymaker on a duck boat during the Super Bowl parade, and makes this guy, arguably, the biggest celebrity in the NFL. Whether it’s crushing it on the football field or living life to the fullest off of it, we can’t help but be enamored by Gronkowski. These are the sides of him we know. These are the sides we love. These are the sides we pay attention to. But what if we were to tell you there’s an entirely different side of this guy that you don’t know about. One that’s thoughtful, reliable, generous, and responsible. Would you believe it? Would you believe that if you take this latest side and combine it with the ones you’re already familiar with, that there’s reason to believe No. 87 is the ultimate role model? Probably not. But you should. Rob Gronkowski is a beast on the gridiron and party animal off it. These are undeniable facts, but he’s also managed to be this guy without jeopardizing his future — from a financial standpoint, that is. How could we possibly know this? The power of the pen. In his new book It’s Good to Be Gronk — authored by himself and agent Jason Rosenhaus — the Patriots tight end admits that he’s yet to spend any of his NFL money. “To this day, I still haven’t touched one dime of my signing bonus or NFL contract money. 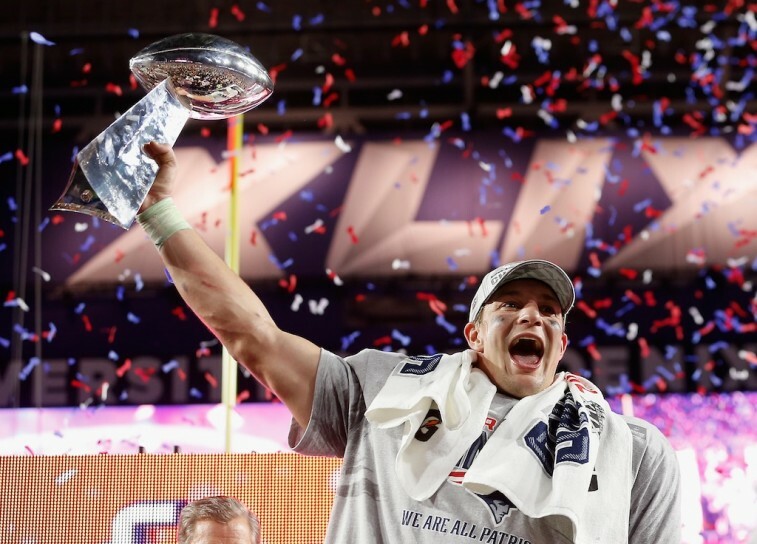 I live off my marketing money and haven’t blown it on any big-money expensive cars, expensive jewelry or tattoos and still wear my favorite pair of jeans from high school,” writes Gronkowski in an excerpt of his book that was previewed Monday on The MMQB blog. 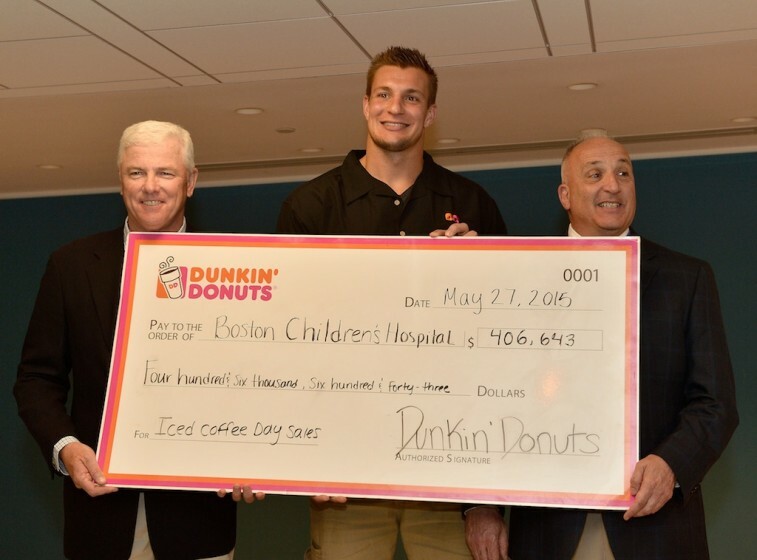 At this point, that’s more than $10 million of salary money that Gronk has managed to save over the course of his brief, albeit, successful career so far. For a guy with his particular lifestyle, you’d think he’d be making it rain any chance he got. And he very well may be. But he’s enjoying life in a responsible manner. There’s no reason not to look up to a guy like that. And yet, what makes Gronkowski even more impressive is how self aware he is. He knows what he wants out of life. He knows the impact he can have on others. He’s willing to get involved for a good cause. But he also knows that none of this would ever been possible without dedication and hard work. If there was ever an individual who lived by the motto “work hard, play hard,” it would be Rob Gronkowski. You can only get by so far on talent alone. This superstar recognizes that. He pushes himself to be better; to be great. But he is also well aware that life is about more than just work. It’s important to live life to the fullest and take advantage of the opportunities presented to you. It’s vital to learn and grow, to have experiences and make memories. But also, to do it in a fiscally responsible manner. That is the Gronk way. And it’s not a bad example to follow. All statistics are courtesy of Pro-Football-Reference.com and The MMQB.